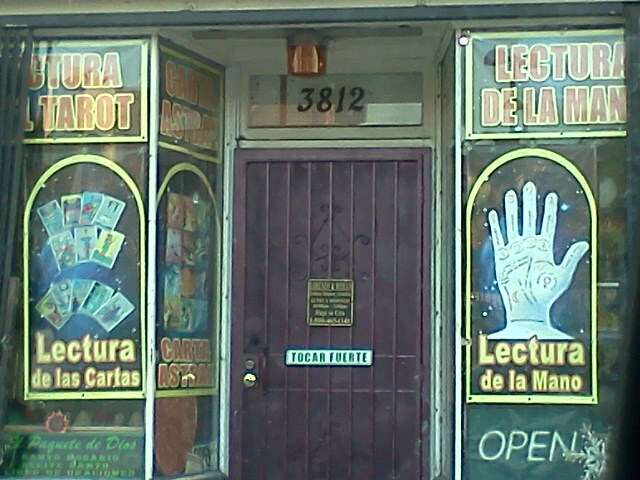 Tocar fuerte means knock hard. But you’d think that a psychic reader would know when a customer’s at la puerta. A Charles Eames thought from the exhibit: “Beyond the age of information is the age of choices.” Are we there yet? I think so. Thank you for choosing Orange Crate Art. This orange tree stands in front of a house on a Los Angeles street, as if it were an everyday thing for an orange tree to stand in front of a house on a Los Angeles street. Which, in California, it is. 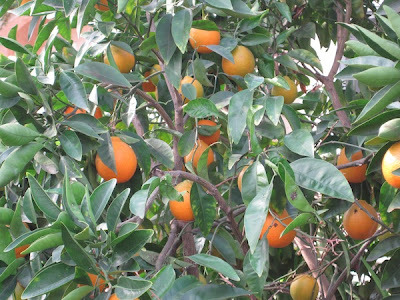 Why, you can reach out anywhere and pick an orange. “H.B.O. Guy coming between 3–5: BE THERE”: a John Lennon to-do list will soon be at auction. I’d like to see an analysis by someone trained in poetry, someone who is good at that sort of thing, like one of my English profs in college . . . No, it wouldn’t be definitive, but might provide some insights. I’m a professor of English, so I guess I’d better say something. The twentieth-century American poet Ezra Pound describes three qualities of poetic language: logopoeia, melopoeia, and phanopoeia, or the play of meaning, sound, and visual imagery. Take Van Dyke’s (in)famous line from “Cabin Essence”: “Over and over the crow cries uncover the cornfield.” You can see the lyricist playing with meaning: is cries a verb, or a noun? It might seem that a crow is crying “Uncover the cornfield,” but there are no quotation marks in the printed lyric, so cries must be a noun. Uncover is more puzzling. What would it mean for cries to uncover a cornfield? Perhaps crows are cawing as they fly away, leaving the field as it was before they arrived and covered it. Uncover could be a surprising, logopoetic way to say that. That’s almost a line of Homer — dactyls (DUM da da) followed by a spondee (DUM DUM). 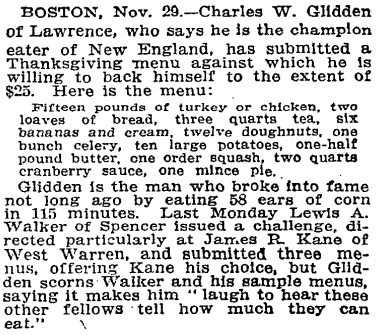 (Homer’s lines though have six feet each, this one only five.) The long o sounds also echo roll and over in “Roll Plymouth Rock.” So this line is rich in melopoeia in itself and in relation to another part of SMiLE. As this line suggests, Van Dyke’s lyrics are often a matter of logopoeia and melopoeia: “The diamond necklace [a queen?] played the pawn,” “hand in hand some . . . handsome,” “canvass the town . . . brush the backdrop” (“Surf’s Up”). That sort of play with language is a large part of the pleasure of poetry. Such play may not be to everyone’s taste, but it’s what I see (and love) in Van Dyke’s lyrics, along with witty cultural shorthand (for instance, the reference to Ramona in “Orange Crate Art”). As for phanopoeia, the visual image of crows leaving a field might not seem like much, but Wallace Stevens’ “Thirteen Ways of Looking at a Blackbird” is at least one precedent for poetry of the ordinary, everyday bird. 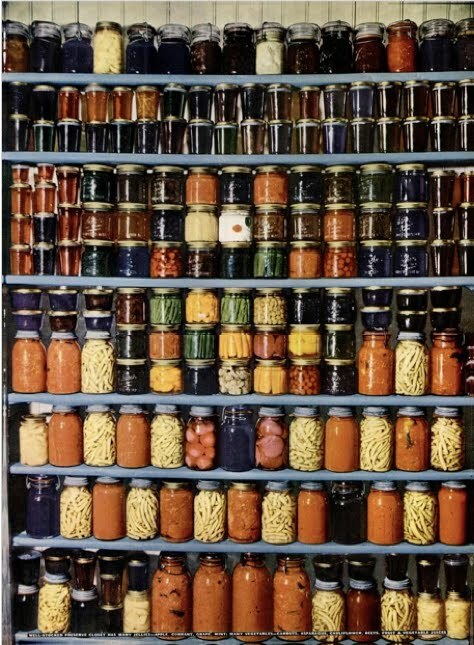 Making a striking image out of everyday stuff is one thing that modern American poets (William Carlos Williams, for instance) tend to do very well. In the context of the first section of SMiLE, the image of crows leaving a field might suggest nature in flight from the European presence in (and devastation of) North America — the presence that has brought the “ribbon of concrete,” the bicycle rider, railroad tracks, truck-driving men, mechanized agriculture, and an empire of homes on the range. None of what I’ve written is what the line “means,” in any simple way, but it’s often more useful with poetry to ask what a line does, or what it evokes, or what it gives a reader to find pleasure in. To say that the line means that crows are leaving a field is in fact to kill everything that’s interesting in the line. That’s the kind of approach that literary critics used to call “the heresy of paraphrase” — the reduction of the poem to a bare statement, as if the point of reading poetry were to cut away the beauty of language to get to some sort of message. And none of what I’ve written is a matter of guesswork about what the line “really” means, or what its writer “really” meant, or what Van Dyke was thinking when he wrote the line. Those ways of thinking about poetry begin with a misleading model of what it means to write, a model in which what the poet says and what the poet means are two distinct matters, the first happening on the page and the second happening in the poet’s consciousness (and thus unavailable to us). A much more workable approach is to think of the poet’s meaning as something we construct, by bringing to bear as much attentiveness and as wide a range of relevant reference as possible. In an essay written last year for the SMiLE tour booklet, Van Dyke professes still not to know what “Over and over . . . ” means. That’s indeed a respectable position for a poet to take. John Ashbery, whom many readers would consider the greatest living American poet, has said that he has no idea what it is he’s doing when he writes. 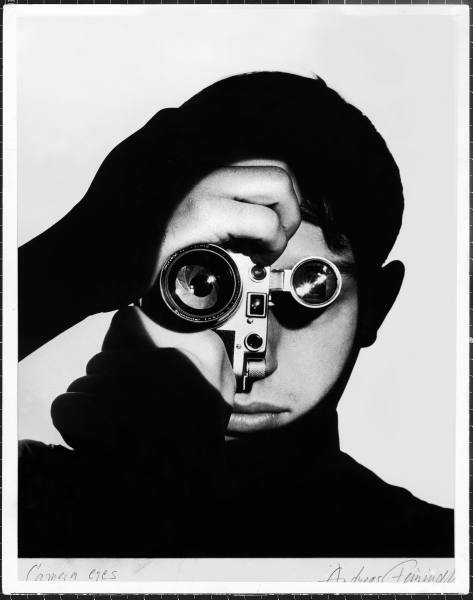 The work of making and the work of noticing and explaining are two different things. I tend to distrust poets who are willing to explicate their work, and I cringe a little when someone asks “What did you mean by that?” It’s for the reader to make something of what he or she reads, and that’s what I’ve been doing here. As I write these words, it’s autumn in the American midwest, the cornfields are down, and I’ve begun to notice crows everywhere. I noticed them in field after field while riding the train home from Chicago, where my wife and I heard SMiLE earlier this month. When I put in a daily walk and bring SMiLE on my Walkman, I hear crows loud and clear along with the music (and along with the animals of “Barnyard”). That’s another dimension of poetry — its capacity for changing your perceptions of the world. 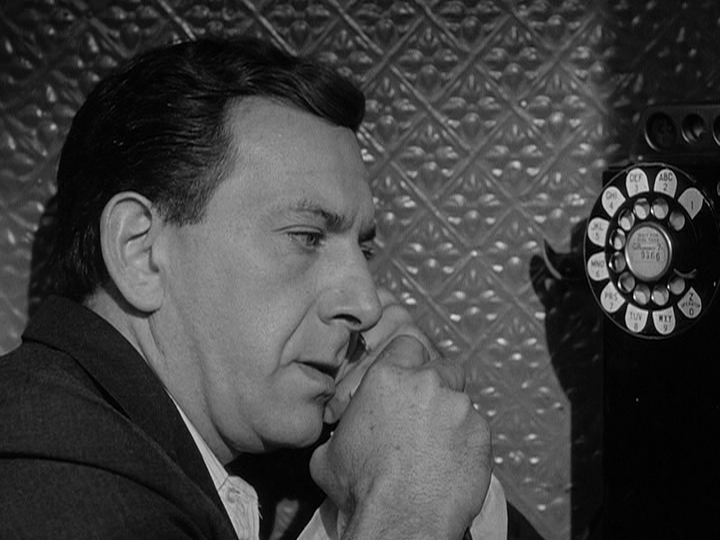 Elaine and I have become hooked on the great television series Naked City. Our habit will soon exhaust all available Netflix DVDs. I don’t know what’ll happen then. 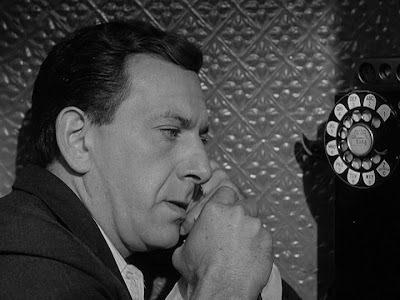 The telephone number in this scene: GRamercy 7–9166. A clock has always struck me as something ridiculous, a thoroughly mendacious object, perhaps because I have always resisted the power of time out of some internal compulsion which I myself have never understood, keeping myself apart from so-called current events in the hope, as I now think, said Austerlitz, that time will not pass away, has not passed away, that I can turn back and go behind it, and there I shall find everything as it once was, or more precisely I shall find that all moments of time have co-existed simultaneously, in which case none of what history tells us would be true, past events have not yet occurred but are waiting to do so at the moment when we think of them, although that, of course, opens up the bleak prospect of everlasting misery and never-ending anguish. W.G. Sebald, Austerlitz. Trans. Anthea Bell (New York: Modern Library, 2001). I picked up this novel because it is has been described as Proustian — and it is, though a scene in which a walk on uneven pavement brings back the past is, really, too overt an homage. (The precedent for that walk may be found in the final volume of In Search of Lost Time, Time Regained.) The sentence I’ve typed here is deeply Proustian, not only in its preoccupation with time and memory but also in the grim twist at its end. “If all time is eternally present / All time is unredeemable,” as someone once said. These good-looking people are very happy about their pencils. 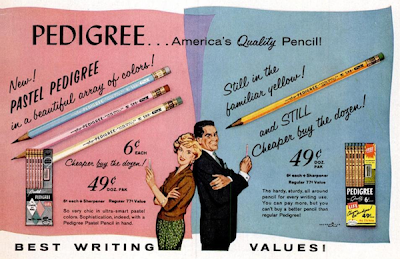 Gunther at Lexikaliker has a recent post with a close look at a 1953 Pedigree ad. I don’t think so. Not really. It might be from the 1970s or 1980s. Well, that’s at least twenty-two years ago. So what do you know about this pencil? Not much. 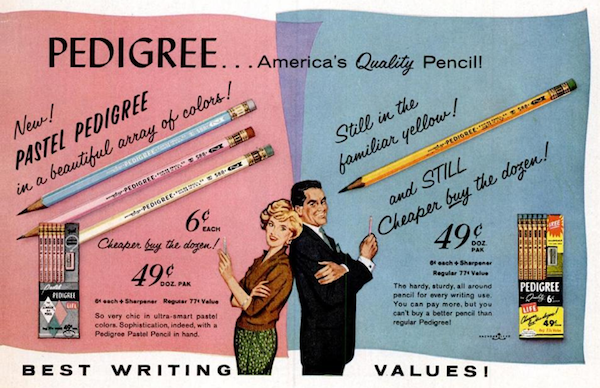 I know that Empire used to be a big name in pencils, and that the company was based in Shelbyville, Tennessee. I remember that there used to be all sorts of stationery supplies bearing the Pedigree name. I remember that too. This 1972 ad shows a bunch of them. I haven’t seen that stuff in years. So you must have a bunch of these pencils? I must have had a bunch of them. But this one is the only one I’ve got — just mixed in with some other loose pencils in a drawer. I was never a big fan of the Pedigree. I remember the Pedigree as particularly unpleasant to write with — unyielding, really. The pencil made the writer’s bump on my middle finger mighty sore. And the erasers seemed to dry out quickly. Besides, I just never liked the design. 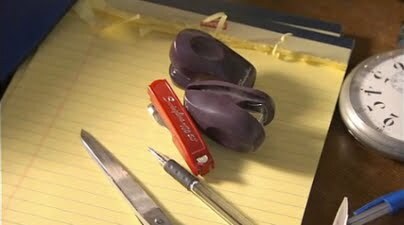 The eraser’s sickly green, the ferrule’s dull brown band — those colors don’t even go together. And the overly busy text running down the body — it looks like a poor man’s Mongol. I especially don’t like the registered trademark symbol and the ugly Empire mark. And “Anchord Lead?” Did they have to misspell it? Look — you asked, okay? The Ames True Temper rake might be the best rake ever. It’s certainly the best rake I’ve used. It pulls easily and makes a wide swath. Best of all, the tines do not get cluttered with leaves. The True Temper rake is made in the U.S. I paid $13.49 for mine. Leaves not included. David Richardson, who’s made beautiful portraits of characters in Marcel Proust’s fiction, is illustrating Michael Norris’s four-part commentary on J.D. Salinger’s Glass family fiction. Here are parts one and two: Franny and Zooey and “A Perfect Day for Bananafish.” I think DR’s Seymour Glass is perfect. Update, December 13: There are two more installments: Seymour Glass and The Glass Family Portrait Album. Jacques Barzun, teacher: Now with a link to information about a new biography. Andrew Sullivan: “I don't like walls. I never have liked walls. It’s part of why I like America — it doesn’t feel so cramped to me as England.” From a profile by Mark Warren: Andrew Sullivan, American by Choice (Esquire). I read Andrew Sullivan daily. Rome! Rome! Sweet, sweet Rome! “A project to document the best of New York City’s neon signs”: Project Neon. Educator, professor, or teacher: which shall it be? At best the title of teacher is suspect. I notice that on their passports and elsewhere, many of my academic colleagues put down their occupation as Professor. Anything to raise the tone: a professor is to a teacher what a cesspool technician is to a plumber. Anything to enlarge the scope: not long ago, I joined a club which described its membership as made up of Authors, Artists, and Amateurs — an excellent reason for joining. Conceive my disappointment when I found that the classifications had broken down and I was now entered as an Educator. Doubtless we shall have to keep the old pugilistic title of Professor, though I cannot think of Dante in Hell coming upon Brunetto Latini, and exclaiming, “Why, Professor!” But we can and must get rid of “Educator.” Imagine the daily predicament: someone asks, “What do you do?” — “I profess and I educate.” It is unspeakable and absurd. If you teach: What do you call yourself? What do you ask your students to call you? Update, November 18: Just out, a biography by Michael Murray: Jacques Barzun: Portrait of a Mind (Savannah: Frederic C. Beil, 2011). John Steinbeck, The Grapes of Wrath (1939). If you’re an educator a teacher, consider signing Creative Commons open letter to the ranking members of the House Committee on the Judiciary. You can also send a message to your representative in Congress via Public Knowledge. 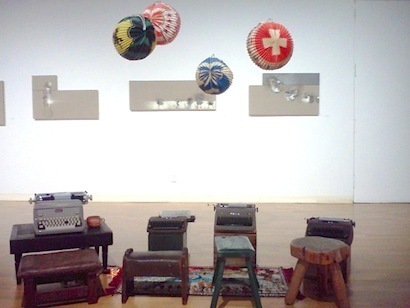 Elaine and I took a drive this weekend to see an exhibition of Jodi Birdwell’s work, “Love Letters to Cy . . . and other notes.” Cy is Cy Twombly, and Birdwell’s work bears traces of his in the form of faint inscriptions. But her work is really her own. Her materials often suggest a garage or workshop: house paint, plywood, casters and furniture knobs. These paintings and installations seem to be working out a grammar of forms: birds and elephants; cups and pots; sausage shapes that begin to resemble socks; dome-like shapes that suggest bowls, cradles, igloos, lamps, planets, and tents. Walking around the gallery became ever more interesting as the family resemblances among paintings became more noticeable. I noticed resemblances too in some of the written elements in paintings: biRb and biRd, and a list of rhymes: pail, kale, and so on. 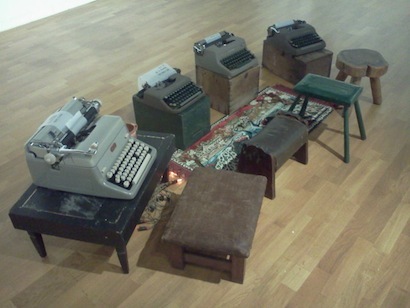 Missing from these photographs is the warmth of this installation: the Christmas lights on the floor function like a campfire for this gathering of typewriters big and small, out under a paper moon and stars. Mr. Romney’s career at Bain Capital, which he owned and ran as chief executive, is a cornerstone of his campaign for the Republican presidential nomination — a credential, he argues, that showcases the management skills and business acumen that America needs to revive a stalled economy. Creating jobs, Mr. Romney says, is exactly what he knows how to do. The White House, though, is already preparing a less flattering portrayal, trying to frame Mr. Romney’s record at Bain as evidence that he would pursue slash and burn economics and that his business career thrived by enriching the elite at the expense of the working class. You can guess which account of life at Bain Capital I think is more convincing. Students at the George Washington University School of Medicine and Health Sciences who received A’s for two [online] courses that were never taught will get their money back, but they’ll still get to keep the academic credit, an administrator reported on Wednesday. . . .
It’s telling, I think, that only three students complained when the professor went missing. His nails tearing into his hair. Ajax, as we would say, gets it, and chooses to fall on his sword. Paterno might at least acknowledge some measure of shame and sorrow for his silence. “As a child, he drew on his bedroom walls”: Bil Keane, Creator of The Family Circus, Dies at 89 (New York Times). Four girls in heels danced on the roof of a parked sport utility vehicle and dented it when they fell after a group of men shook the vehicle. A few, like Justin Muir, 20, a junior studying hotel and restaurant management, threw rolls of toilet paper into the trees. Some students noted the irony that they had come out to oppose what they saw as a disgraceful end to Mr. Paterno’s distinguished career as a football coach, and then added to the ignobility of the episode by starting an unruly protest. Greg Becker, 19, a freshman studying computer science, said he felt he had to vent his feelings anyway. Paul Howard, 24, an aerospace engineering student, jeered the police. The gutter is useful for text folding, but if you use TextWrangler for plain old writing, the gutter might seem like clutter. TextWrangler is great, and it’s free. It’s my favorite writing app. A few yards away is the big New York Public Library. You find something in an old magazine there. Can you clip it out? You’d go to jail! Copying takes time. Photostats cost money and don’t come in color. So hundreds of people cross the street and buy from us. 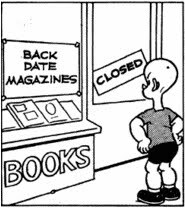 This back-date magazine store sounds like a 1953 Internet. Yesterday’s Henry led me to this page from Life. Sidney Friedman was right: an old Life never dies. December 14, 1953 lives on at Google Books. FeedBurner now shows 10,006 Orange Crate Art subscribers, almost all in iGoogle or Google Reader. I’ve been watching the counter creep toward 10,000 for a while now. Who are you all? Aside from the free pizza, what do you like about Orange Crate Art? 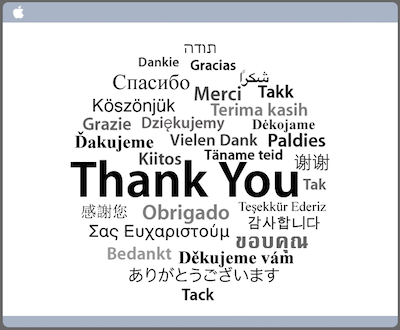 Please, click on through sometime and say hello. “This is what I have worked for. In our time of need our students have stood up for us”: Jyotsna Kapur, associate professor in cinema and photography, at a student rally in support of striking faculty at Southern Illinois University Carbondale. You can follow the story online at Occupy SIUC and SIUC Unions United. uncompromising, inflexible, unbending, unyielding, diehard, unshakable, unwavering, resolute, rigid, unaccommodating, uncooperative, stubborn, obstinate, obdurate, pigheaded, single-minded, iron-willed, stiff-necked. I think the administration needs to find a different word. 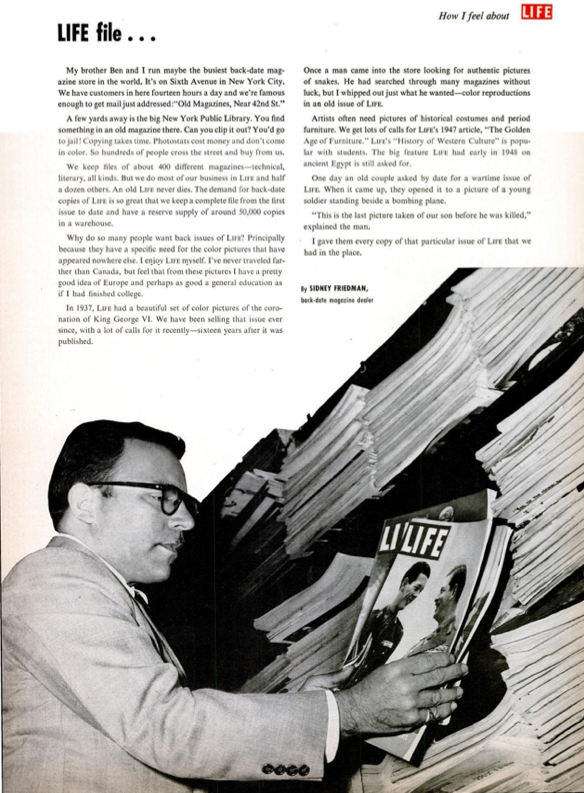 When did you last see a bookstore selling back-date magazines? Henry is a wonderful anachronism. I think I must be the last person reading. Apple Computer, Inc. is now Apple Inc., no comma. “Apple,” unlike, say, “Executek,” is a name built to last. From Sean J. O’Connell’s review of Inara George and Van Dyke Parks’s November 5 performance at the Getty Center (LA Weekly Blogs). Van Dyke Parks, Arrangements, Volume 1. 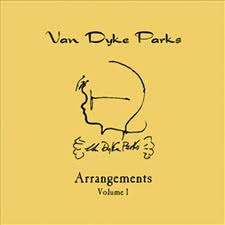 Arrangements, Volume 1 is the first of two compilations of Van Dyke Parks’s work as an arranger, on his own recordings and others’. (Parks has worked with many, many musicians: here’s an incomplete list.) Each of the fifteen selections here bears the Parks mark of sonic density and tonal variety, which makes for a jukebox of considerable range and sophistication: calypso (with Bonnie Raitt), funk (with Little Feat), a production number (with Ry Cooder), reggae (with a very plausible Dino Martin), straightfaced soft-rock (with Sal Valentino), and Tex-Mex (with Lowell George). Most appealing to me are this album’s early (and until now relatively inaccessible) Parks recordings: the swirling keyboards and umpteen (I’d say nine) key changes of “Donovan’s Colours” (the 45 mono mix, released under the pseudonym George Washington Brown), the bright choiring voices of “Come to the Sunshine,” the brass-heavy fits and starts of “Out on the Rolling Sea,” an orchestral interpretation of the Bahamian guitarist Joseph Spence’s idiosyncratic style (in Spence’s signature key of D), and “Ice Capades,” a forty-four-second flurry of synthesizer high jinks created for a late-sixties Ice Capades commercial. And perhaps best of all, Parks’s version of “The Eagle and Me,” whose bassoon, oboe, and percussive clicks and rasps suggest a happily creaking and croaking menagerie. It’s a rare musician who can take up the songs of Joseph Spence and Harold Arlen and make them both sound like parts of his own soul. Onward to the next volume. Track listings at Bananastan Records. I find it impossible to decide what’s more plausible: that the name Colgate Optic White is the work of a snarky creative type who’s read Ralph Ellison’s novel Invisible Man (1952), or that this new toothpaste just happens to share its name with one of that novel’s most important tropes of color and invisibility. Either way, I’m buying a tube as soon as possible to remember this odd intersection of art and commerce. In Ellison’s novel, Optic White is the signature product of Liberty Paints, where the narrator, adrift in New York City, has gone to see about a job. Optic White suggests a range of matters: appearances (color as what meets the eye), invisibility (Lucius Brockway, an African-American genius of paint, mixes Optic White in the factory basement), masks (Optic White will cover anything, even a chunk of coal), the melting pot (a black liquid stirred into the paint leaves a grey tinge), whiteness as what’s officially American (Optic White is used on government buildings), and xenophobia (“Keep America Pure with Liberty Paints” is one company slogan). Brockway had a hand in another slogan: “If It’s Optic White, It’s the Right White.”¹ Gosh, that’d make a great toothpaste slogan too, wouldn’t it? Q: Can you give us an example of the use of folklore in your own novel? A: Well, there are certain themes, symbols, and images which are based on folk material. For example, there is the old saying among Negroes: If you’re black, stay back; if you’re brown, stick around; if you’re white, you’re right. Mr. Mandelbaum was well known for his translations of the modern Italian poets Giuseppe Ungaretti and Salvatore Quasimodo, and for his Aeneid, which won the National Book Award in 1973. His verse translation of The Divine Comedy was published in three volumes by the University of California Press in the early 1980s and was later brought out by Bantam in an inexpensive paperback edition that is still used widely in college courses. That’s Dante of course, speaking of Virgil. Like Virgil, the translator too is a guide to what might otherwise remain inaccessible. A grandson of Jewish immigrants to the United States from Russia and Poland, Mr. Fink dedicated the last four decades of his life (after retiring as an advertising art director) to hand-lettering, illustrating and commenting on the Declaration of Independence, the Constitution, the Gettysburg Address and the Book of Exodus. In 2009 Mr. Fink was the subject of a lovely Wall Street Journal article by his cousin Bob Davis: Through Letters, a Family History Unveiled. The larger answer, however, is that extreme concentration of income is incompatible with real democracy. I called Apple support recently to solve a minor paperwork problem (first call in four years). Apple then sent me a link to an online form asking for my feedback. I filled out the form and found this image at the end. Nice. I bet my friend Norman can identify every language here with no peeking. Let’s see. 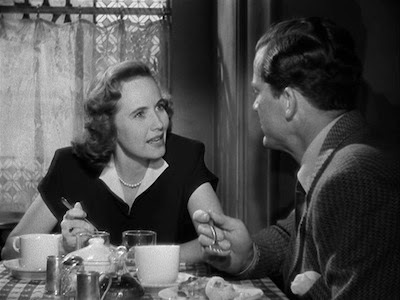 Teresa Wright is one of my favorite actresses. That facial expression in Roseland struck me as something straight out of The Best Years of Our Lives or Shadow of a Doubt (dir. Alfred HItchcock, 1943). I have tried my best to find an equivalent. 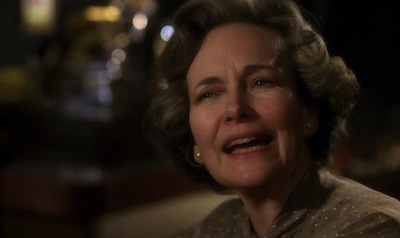 Filmed in New York’s Roseland Ballroom, Roseland is a strange and beautiful film, made of three vignettes of love and loss: “The Waltz,” “The Hustle,” and “The Peabody.” It’s a Merchant Ivory film, screenplay by Ruth Prawer Jhabvala, but as Elaine suggested, Roseland feels more like something by Fellini. Elaine Fine (Mrs. Orange Crate Art) has figured out a nifty way to keep string bags from getting tangled up inside her shoulder bag. A new direction in spam, or new at least to me. 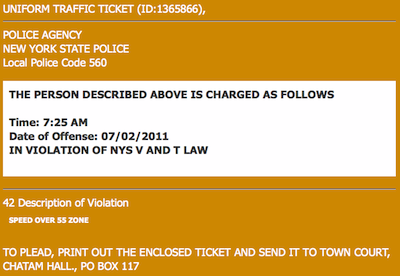 This ticket came with a no-doubt lethal attachment. 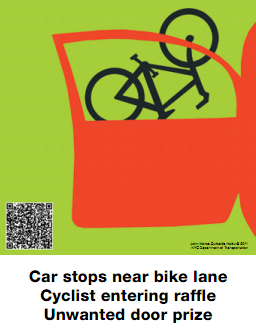 Strangely enough, twenty-four other people (e-mail addresses all visible) are getting the same ticket. The Bcc: option would add at least a smidge of greater realism, as would a city name and zip code. [A] scrap of paper and a stub of a pencil are more preferable for philosophizing than typing the same words down, since writing a word out, letter by letter, is a more self-conscious process and one more likely to inspire further revisions and elaborations of that thought. It’s difficult not to think that the Occupy movement has something to do with this decision: In Retreat, Bank of America Cancels Debit Card Fee (New York Times). See also: Are big banks feeling pressure from Occupy Wall Street? (Washington Post). But the decision doesn’t seem to have made much difference at Zuccotti Park: Occupy shrugs off bank’s debit-card move (MarketWatch). A weekly magazine editorializing (even if mistakenly) about an unabridged dictionary: those were heady times. I would like to go out and buy this dictionary today. O reason not the need, King Lear said. But with the Oxford English Dictionary, Webster’s Third New International, and at least a dozen other dictionaries in the house, and the OED online, and dictionaries on my Mac and iPad, I think I’m full up dictionary-wise (at least if I plan on buying the Fourth New International, whenever it appears). June 24, 2012: The online AHD now has a lengthy usage note for irregardless. Hmm. “For the past three decades, [the design firm] Pentagram’s Michael Bierut has kept a numbered series of notebooks — plain composition books, filled with rough sketches, notes taken in client meetings, doodles and design ideas — that cumulatively provide a record of his working life.” The notebooks are the stuff of an exhibit at the College of Saint Rose (Albany, New York): 30 Years 90 Notebooks (via Notebook Stories). “In their one-man adaptation An Iliad, Lisa Peterson and Denis O’Hare (TV’s True Blood) return Homer’s epic poem to the voice of the lone poet as he recounts a story of human loss and folly that resonates across three millennia of war and bloodshed.” An Iliad runs at Chicago’s Court Theatre, November 10 to December 11.